The age-old dichotomy between business and philanthropy is being torn apart by social entrepreneurs across the globe, from Argentina to Zambia and everywhere in between. These innovative individuals have created new ventures that fuse money with meaning. Yet while the creation of such start-ups certainly fuels the development of the sector, others are following a different path to social entrepreneurship. In fact, many nonprofit organizations are awakening to the idea that a for-profit model can often generate the same intended social impacts on a scale unimaginable while locked into a NPO state of mind. Freed from dependency on donors, funding cycles, and organizational inefficiencies, these newly renovated social enterprises can maximize their revenue-creating potential and amplify their social or environmental endeavors. The road to financial sustainability is a rocky one, certainly. But the storms of a nonprofit to social enterprise transition can be weathered with the proper expertise and accounting, strategic partnerships, an open mind, and a dose of daring. Consider Mexico’s Echale a Tu Casa. With decades of experience in the housing and construction industry, Mexico’s Francesco Piazzesi strove to innovate solutions for the poorest of his country. His self-build housing programs and Adoblock technologies (bricks made from which are made from soil and clay) had provided an affordable, community-friendly, and ecologically-sound method to combat a national housing crisis. Some 25.8 million people, or almost a fifth of Mexico’s population, do not live in physically stable, safe homes and are in need of adequate housing. Despite his noble intentions, Piazzesi’s nonprofit had limited effectiveness. Then titled Adobe Home Aid, the organization was plagued by inconsistent funding and difficulties in scaling. Around 2006, Piazzesi began to collaborate with New Ventures, the World Resources Institute’s center for environmental entrepreneurship, to explore the option of a for-profit model. New Ventures connected Piazzesi with business community leaders in the region and a mentor from Ernst & Young Mexico, Roberto Cuaron. “In order to do the good that Francesco [Piazzesi] sought to do, they needed to transform themselves,” Cuaron said. Brick by brick, Piazzesi, with the help of Cuaron and New Ventures Mexico, built the foundations for a successful for-profit business that would maximize social and environmental benefits. Over the course of a year, Cuaron assessed the value of the organization and the resources required to transition. In tandem, they crafted a business plan with clear goals and targets, revamped the accounting process, reconfigured their information presentation and messaging, and, most importantly, equipped Piazzesi to approach financial institutions and equity investors. Now in the form of Echale a Tu Casa, Piazzesi’s organization pitched to investors, received seed capital, and hired a new staff. With their community-based, auto-construction model, they’ve helped Mexican citizens build 11,000 homes, and now have the capacity to build 5,000 homes per year. Echale a Tu Casa has been recognized for numerous awards, including the federal government’s National Prize for Housing in 2007. “In five years as a company we have generated the social impact equivalent to 20 years as an NGO. We are more effective than before because we have a team of professionals dedicated to their work 100 percent every day,” Piazzesi said. 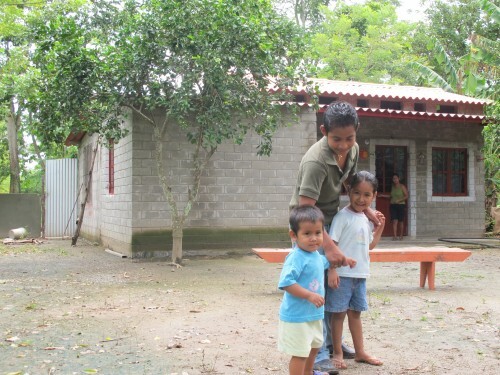 Piazzesi has now set his sights on a social franchise model to expand to other communities throughout Latin America, in which communities that already have self-built homes will be able to assist and train other communities. Echale has also created a social fund to finance its housing projects and provide loans directly to families. With the social fund, loan financing to families building homes will be more accessible and Echale can achieve greater scale. Sustainable growth was enabled by this transition to social enterprise. “While I felt good about what I was doing as a non-profit, we learned that as a business we could make real social impact,” Piazzesi said. Let’s venture nearly 2,000 miles south, to Ecuador’s northern coastal plain. The region experiences one of the most rapid rates of deforestation, facilitated by an illegal supply chain of timber products and unsustainable agricultural practices. In 2003, a community forestry enterprise known as EcoMadera was established, owned by local community members and run through two NGOs: the Peace Corps and the Pinchot Institute for Conservation. However, once again the model was not producing environmental or economic benefits. Even those who utilized the legal structure to harvest sustainably would then go back to the forest and sell their wares illegally. “It hadn’t become a viable business, and we weren’t accomplishing conservation goals,” said Peter Pinchot, director of Ecuador projects at Pinchot Institute for Conservation. Thus, in 2008 EcoMadera opted to restructure to a more effective social enterprise model with a greater reliance on market mechanisms and outside investment. They integrated professionals with the community shareholders and forged a structure to go to outside investors and bring in investment capital. Since then, EcoMadera has purchased native forests and pastureland, established balsa tree plantations, built a manufacturing facility and is producing balsa wood laminates that are sold globally to produce wind turbine blades and other industrial products. They have expanded their employee base from 7 to 40 while maintaining a positive cash flow without relying on subsidies. EcoMadera now sustainably manages 500 hectares of land and intends to expand to 10,000 in the coming years. “In many ways the financing of a social venture isn’t very different from the financing of a normal small business,” Pinchot said. By fusing the efficiency and flexibility of market mechanisms with the conscious and equity of philanthropy, these regional actors have found unprecedented success, especially when guided by advisors and intermediaries. Ty Pennington may not be running around yelling into a megaphone, but an extreme makeover is still a very viable possibility for many nonprofits.